Just guessing but this rig with its trailer would be pretty close to the price of a car. The Polaris Ranger XP is by itself a pretty neat piece of equipment with its driver and passenger sitting side by side. 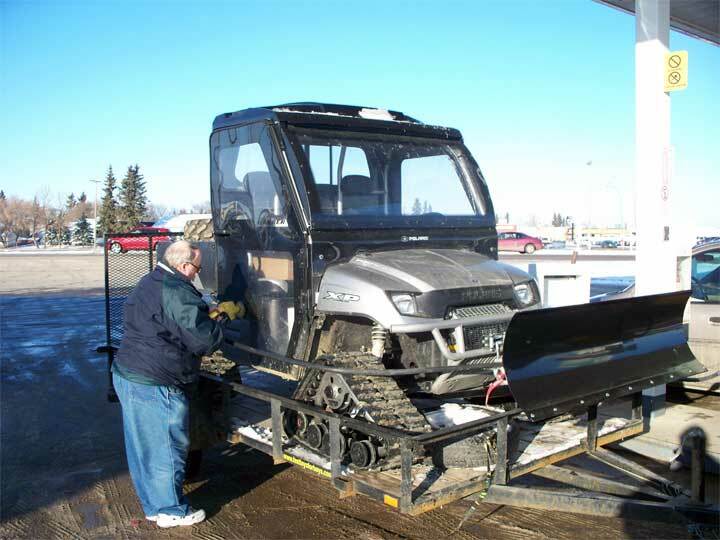 This one has and enclosed cabin and if one needs an excuse for such a machine a cute snow blade on the nose. 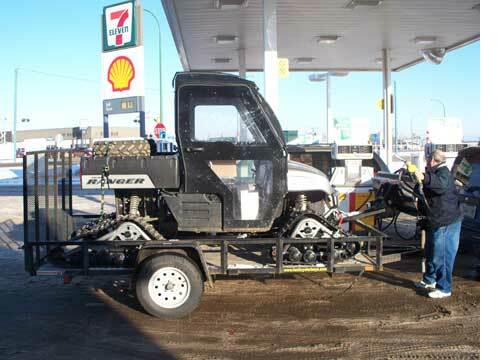 In March of 2006 we did a story on putting tracks on a quad. 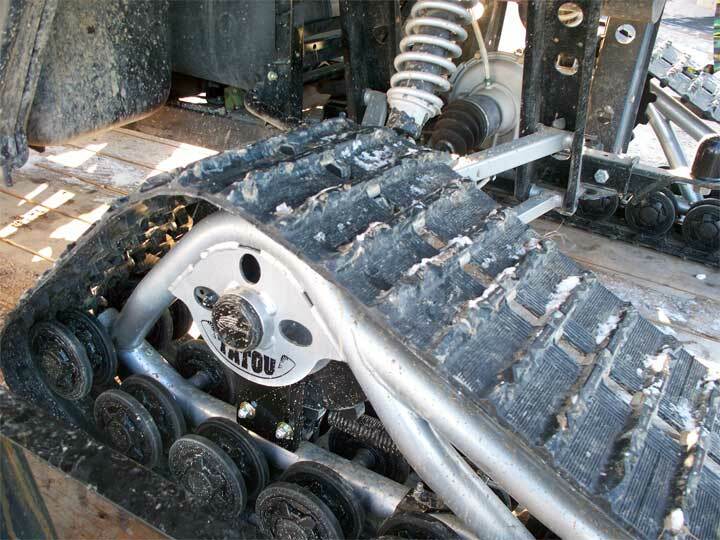 This machine has a set of Tatou UTV tracks installed. Pretty remarkable machine and with its roll cage not even close to the sort of dangers involved with most ATV quads.